I've been longing to make my own almond milk. To be honest I was scared to make my own milk. I was thinking for sure I'd make a mess, or waist the nuts because I'd do something wrong. There's a stabliizer put in rice, almond and soy milk called, "Carrageenan". I'm not going to pretend I know a whole lot about Carrageenan, but I do know that additives of any kind usually are not good. It's better if you can make your own of things. I'm not going to make my own milk 100% of the time, but I will when I have the time. 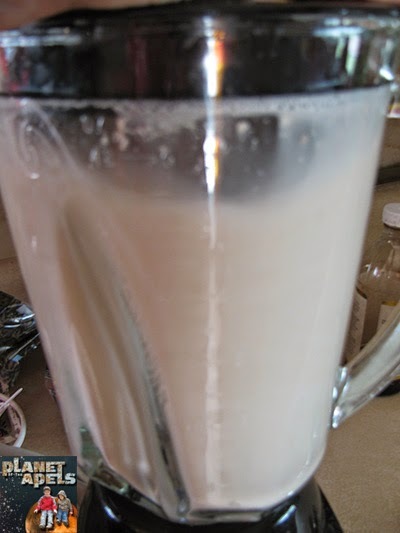 Making nut milk is actually pretty easy. 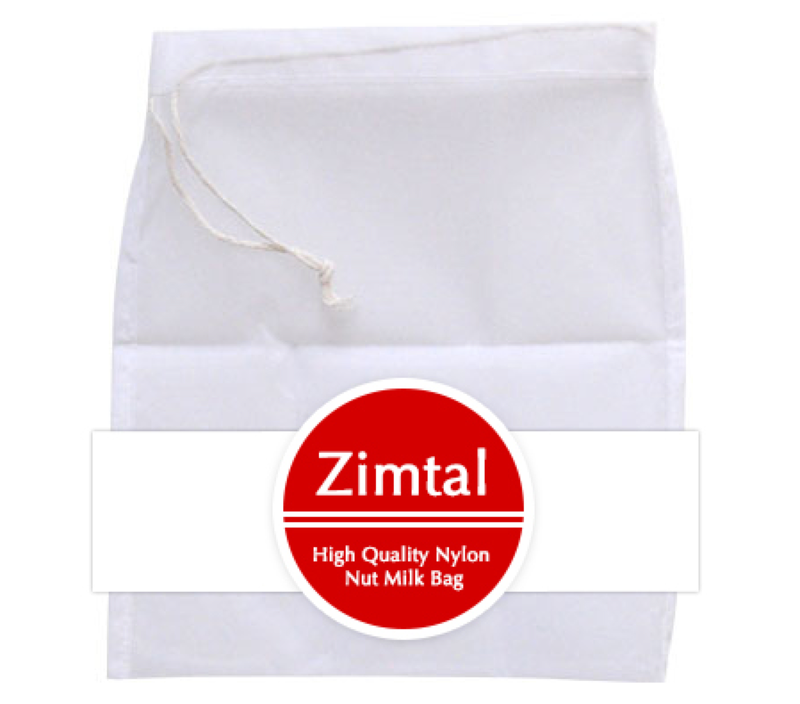 I am so lucky to have gotten Zimtal Nut Milk Bag for review. Zimtal made what seemed possibly hard to me, so easy! 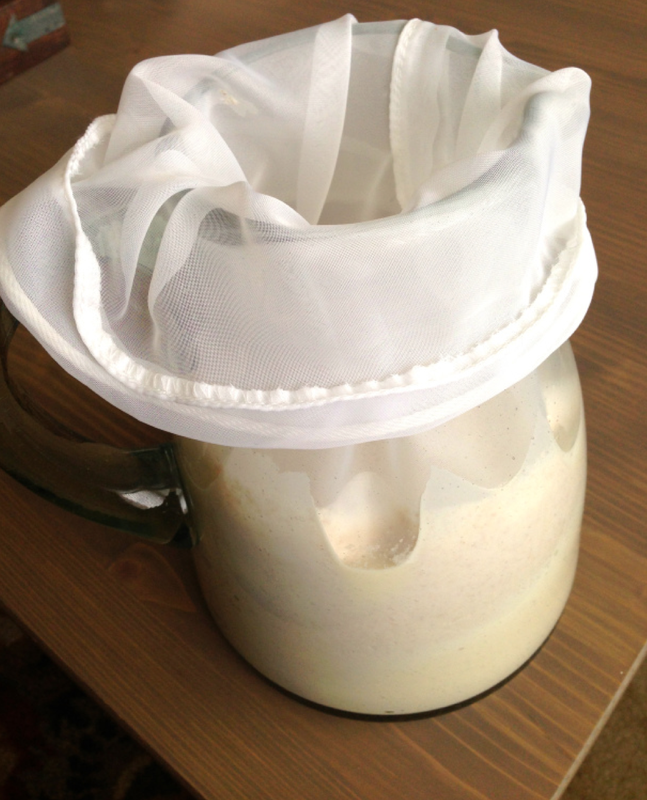 Along with their bag to make nut milk, they send a link to get a free PDF recipe book. I was going to make Almond Milk, but changed my mind when I saw that they had a recipe for Cashew Milk. 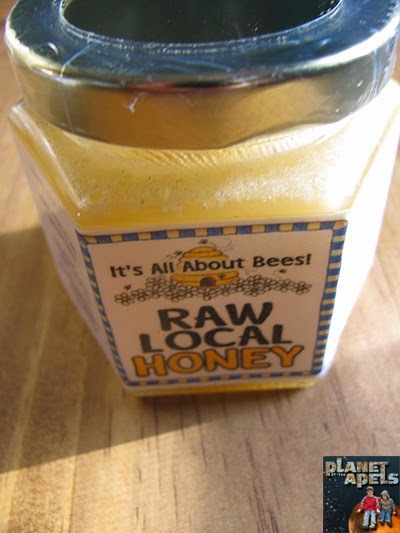 All the recipes are similar: 1 cup nuts, 4 cups water, and add the sweetener of your choice. I thought it was wonderful tasting! 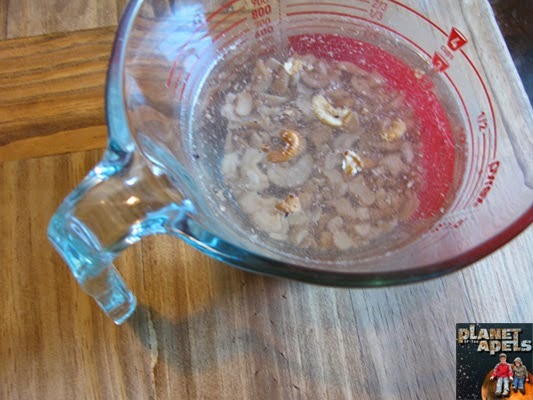 Soak 1 cup of nuts in tap water overnight. 2. 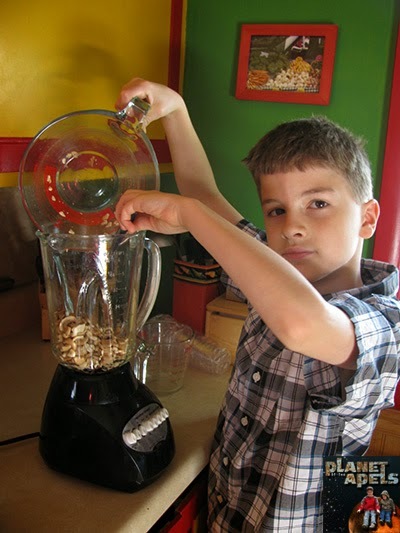 Rinse the nuts, and put them in the blender with 4 cups filtered water. 3. Add your choice of sweetener, vanilla and salt. 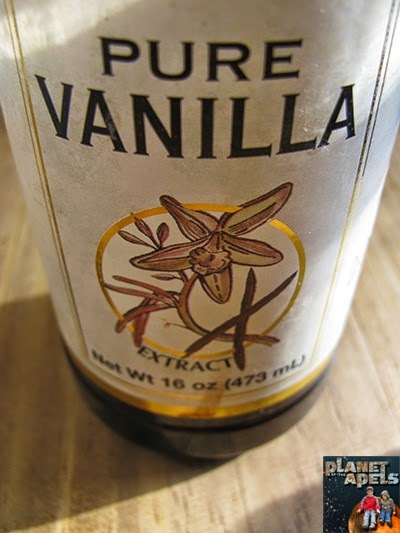 I added 2 Tablespoons of local honey, 2 teaspoons of vanilla and no salt for me. 4. Blend all the ingredients together. 5. 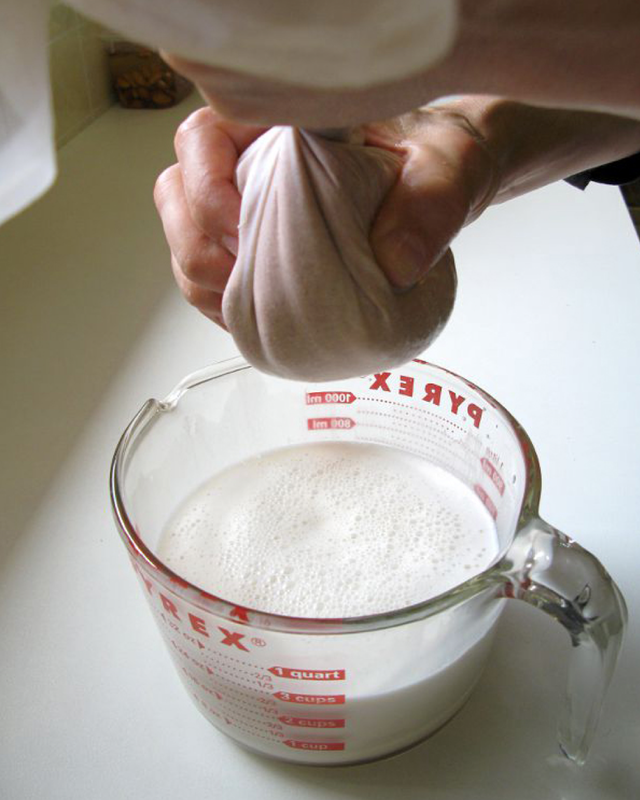 Pour it into Zimtal Nut Milk Bag to strain it. I helped it with my fingers as shown in the photo below. You now how your milk. I saved the cashew pulp for smoothies. There's something wrong with my milk it's separating in the fridge, and looks gross. What's wrong with it? Nothing is wrong with your milk. Naturally made things do that. Shake it and drink it. How long does it last? 4 days from delivery. Because this product is fresh and raw, there are no preservatives or additives, which is why there is a shorter shelf life than the boxed almond milks. It's fresh, and you know what's in it. Interesting! 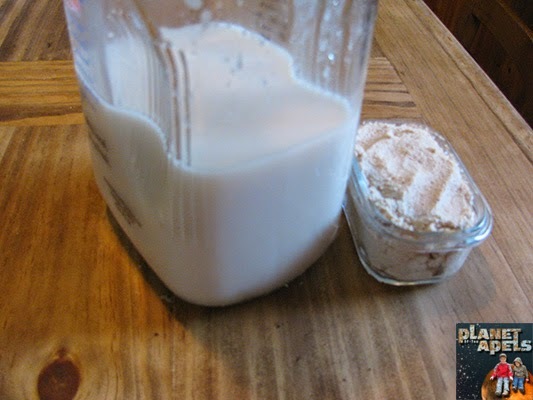 I never knew it was so easy to make nut milk at home! 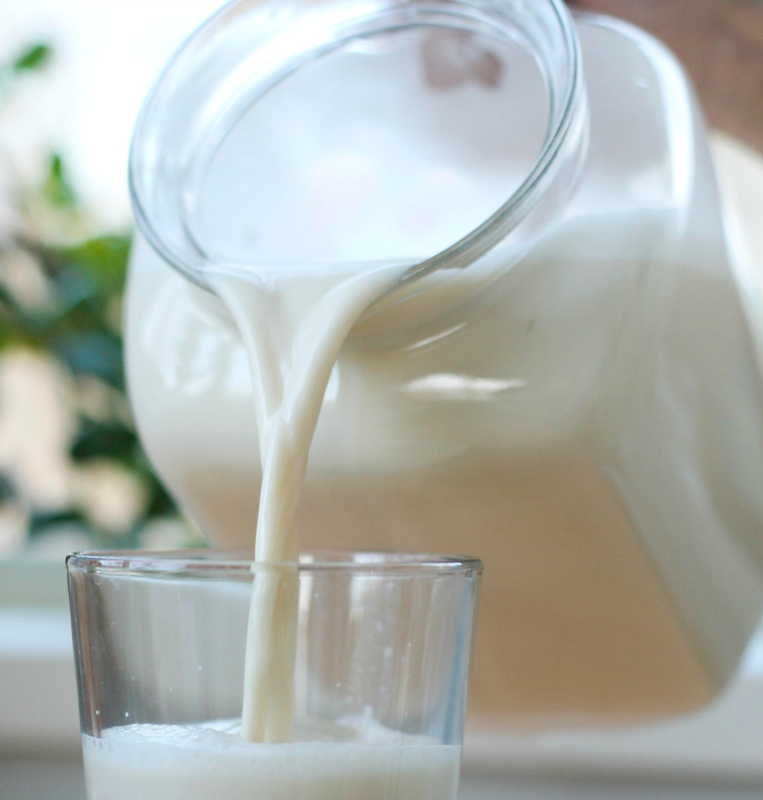 Do you happen to know how long the milk will stay fresh once you've made it? Looks like a really good idea. I have always wanted to make my own milks as well. I didn't realize it was so easy to make it at home yourself. Very cool to know! This looks super! 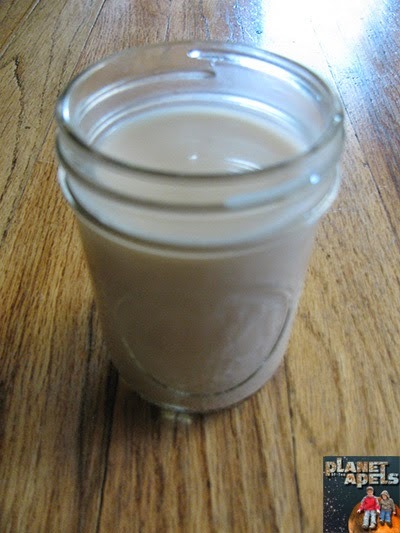 My daughter has been experimenting making her own almond milk. I just told her about these bags you mentioned. 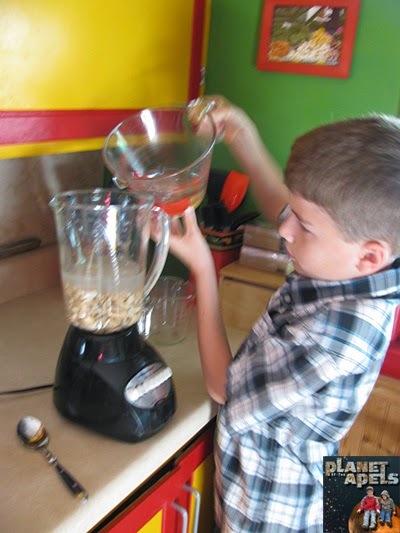 We actually researched how to make almond milk after spending $4 for some at the grocers. I was surprised at how easy it was. We haven't tried it yet, but I do want to do it soon. Your cashew milk sounds so yummy! That sounds delicious, and pretty easy. We might make some kind of nut milk soon! Thanks for the information.